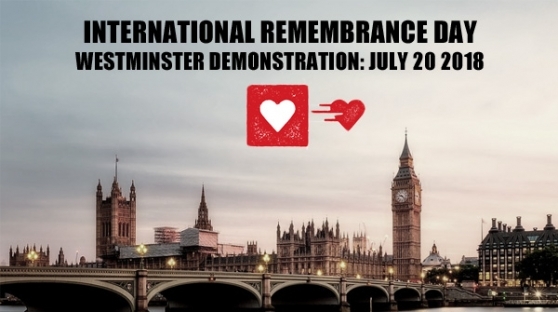 On July 20, we will be honouring International Remembrance Day in London. The day celebrates the lives of people who use drugs who have passed away – many of whom died because of the repressive and stigmatising conditions imposed by prohibition. Drug-related deaths have hit the highest rate on record in the UK, so we will be staging a demonstration outside Parliament in central London (Remembrance Day is usually marked on July 21, but we have opted to mark it on July 20 as it is the last day of Parliament before the summer recess). As we honour our family and friends, we want MPs to know the human cost of their decisions; that the policies they support inflict suffering upon tens of thousands of people across the country. We know that many of our loved ones would still be here today if we had compassionate drug laws rooted in evidence. As in previous years, this Remembrance Day will include speeches from people personally affected by drug prohibition. Activists will also provide advice and information booklets to attendees and members of the public. If there is someone whose memory you want to celebrate at this year’s Remembrance Day, you can get involved – even if you can’t make it to London for the event. Send a photo of a friend or loved one that you want to honour and we will print their photo out and include it in our public display in Westminster. If you’d like to do this, please follow the instructions below. Pictures may also be posted on the Facebook page – please specify in your email if you do not want your image posted there. Please ensure that you have permission from the family members of the pictured person before submitting their photo. Stay updated on International Remembrance Day by joining in the Facebook event page here.